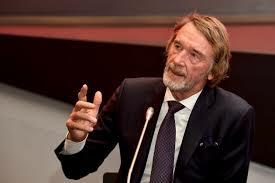 April 8 – British billionaire Sir Jim Ratcliffe is in talks to buy French Ligue 1 side via his chemicals company, Ineos. Reports are that he has already bid $100 million. OGC Nice is controlled by Chinese investor Chien Lee who only acquired the club in 2016 as part of a buying consortium that included Alex Zheng, president of hotels group Plateno, and U.S. businessmen Paul Conway of the Pacific Media Group and Elliot Hayes. Ratcliffe’s interest in Nice was sparked by his move to nearby tax haven Monaco in November 2018. Britain’s richest man, he recently bought the Team Sky cycling team. He also holds a stake in Switzerland’s FC Lausanne. Nice is in eighth place in Ligue 1 and within range of qualifying for the UEFA Europa League next season. The team is managed by Patrick Vieira, and plays at the 36,000 capacity Allianz Riviera. Initially it looked as though Lee had told Ratcliffe to get on his bike. But Ratcliffe knows a bit about bikes, having bought the best ones out there.